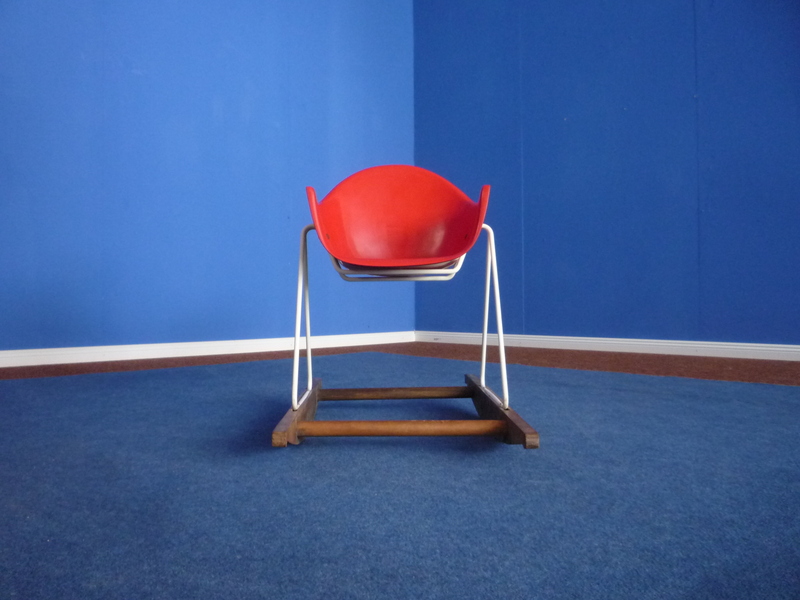 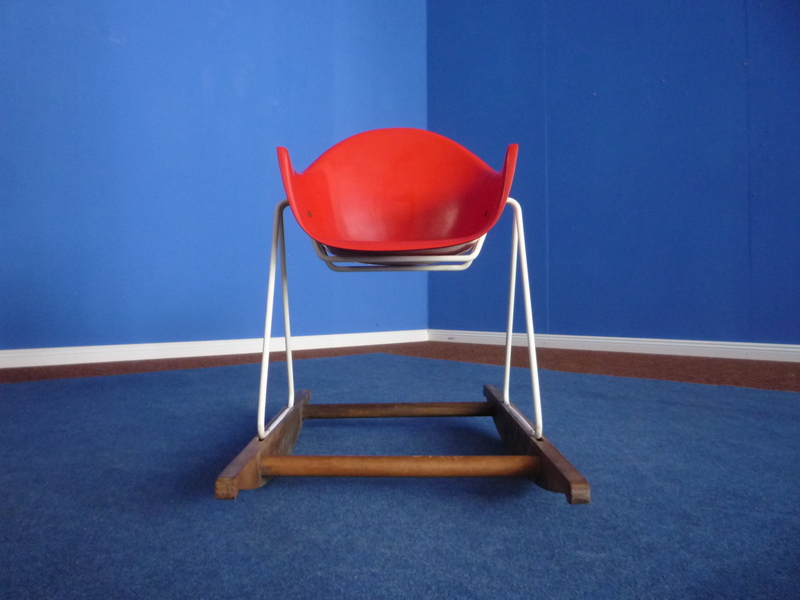 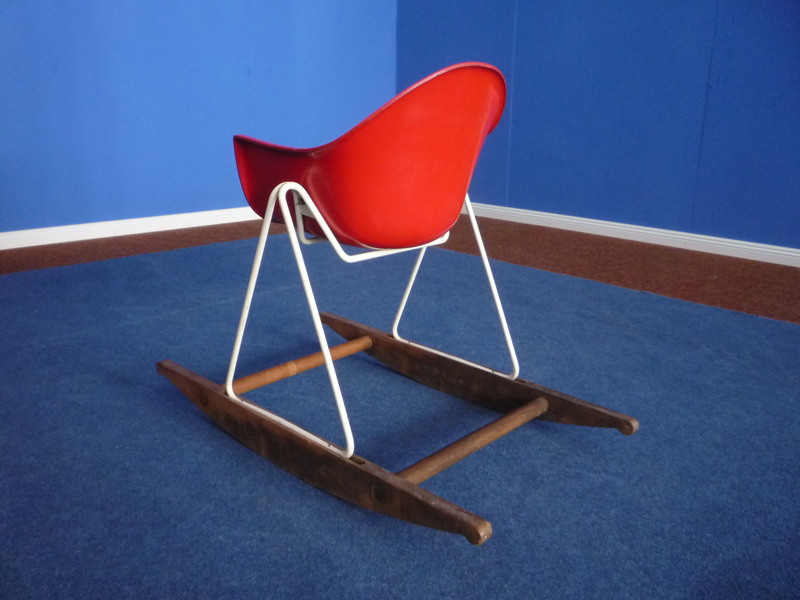 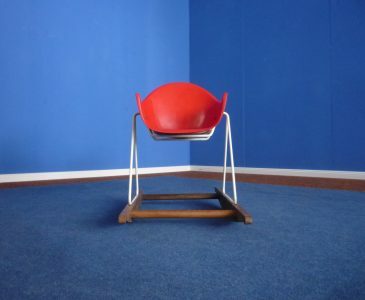 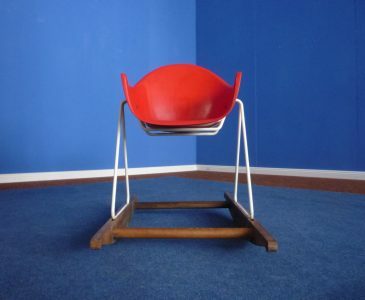 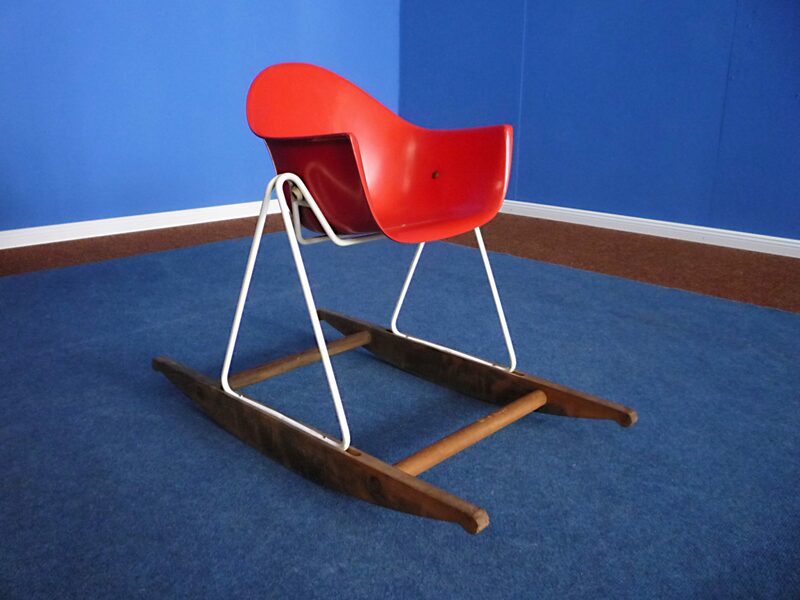 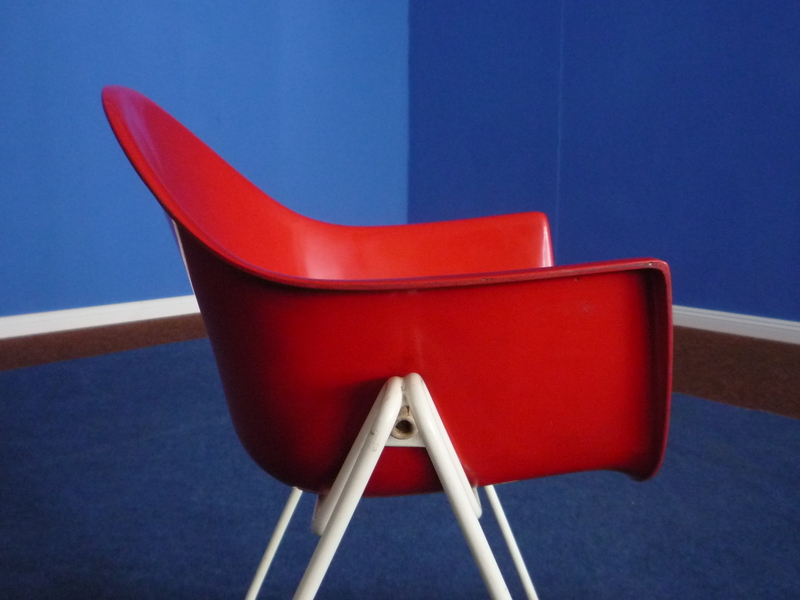 Extremely rare chair by Walter Papst 50s. Only suitable for children. Amazing state of preservation. 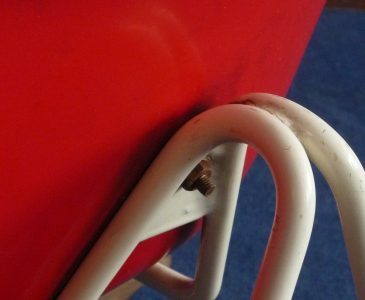 Seat shell without breaks or cracks. 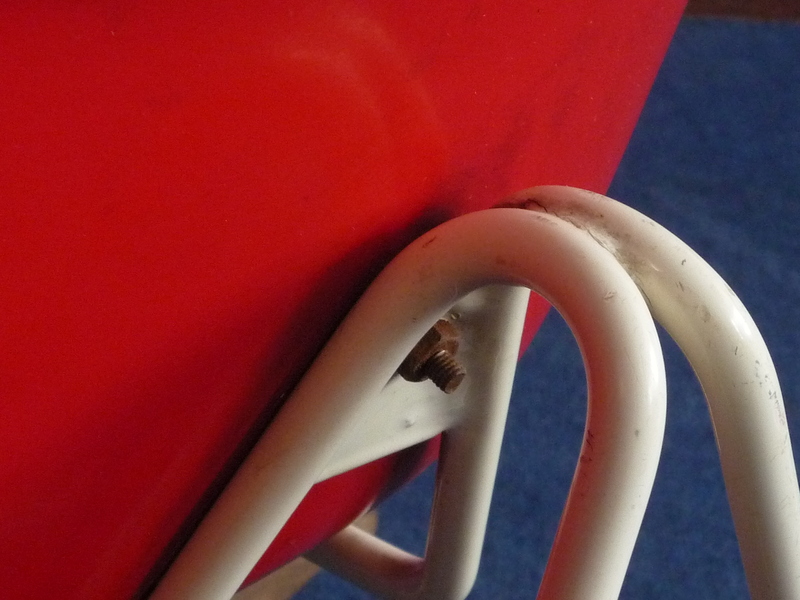 Small paint defects on the metal frame. 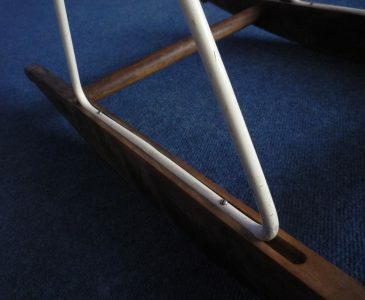 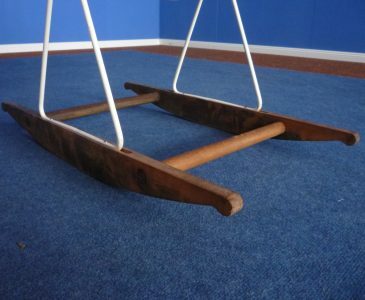 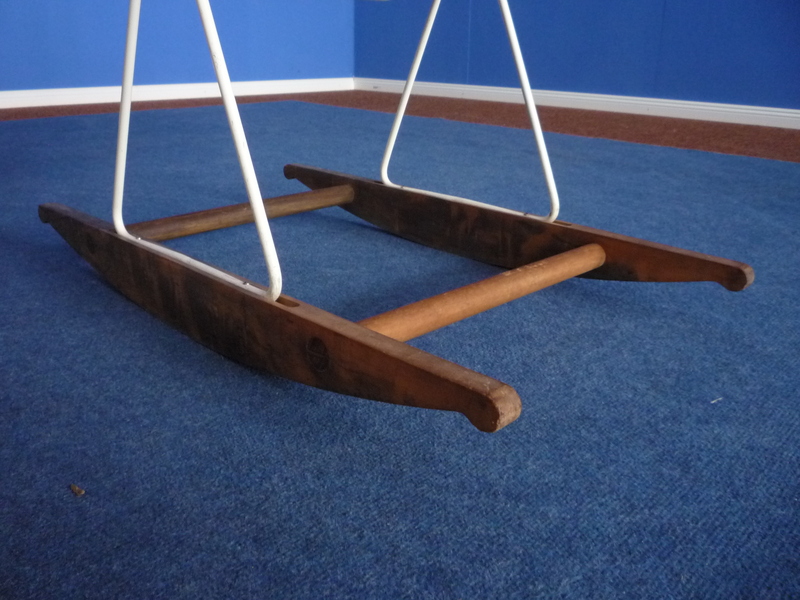 Wooden runners look very good. 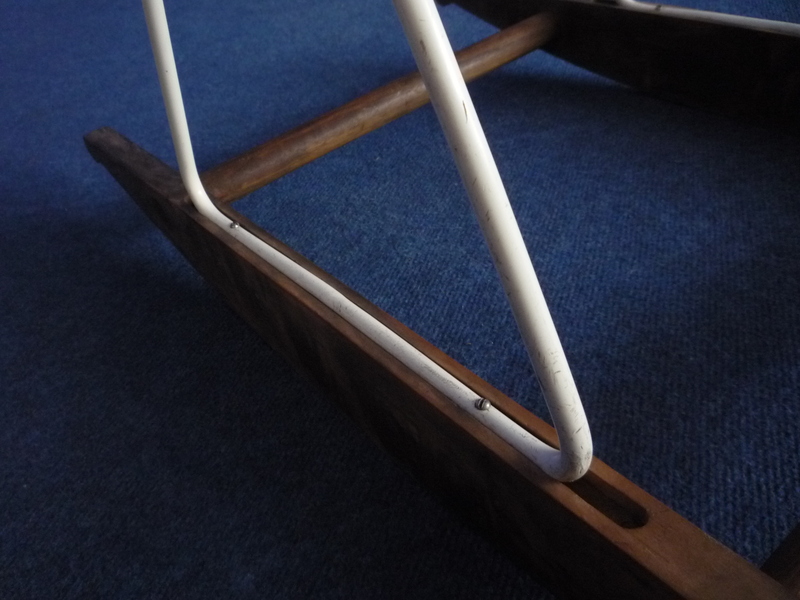 The chair is stable, clean and ready to play.